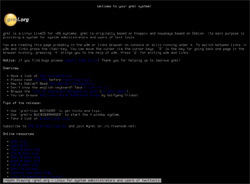 This screenshot shows the bootsplash. 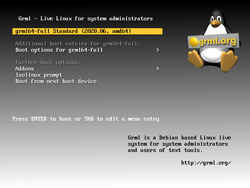 This screenshot shows the bootup sequence right after the bootsplash. 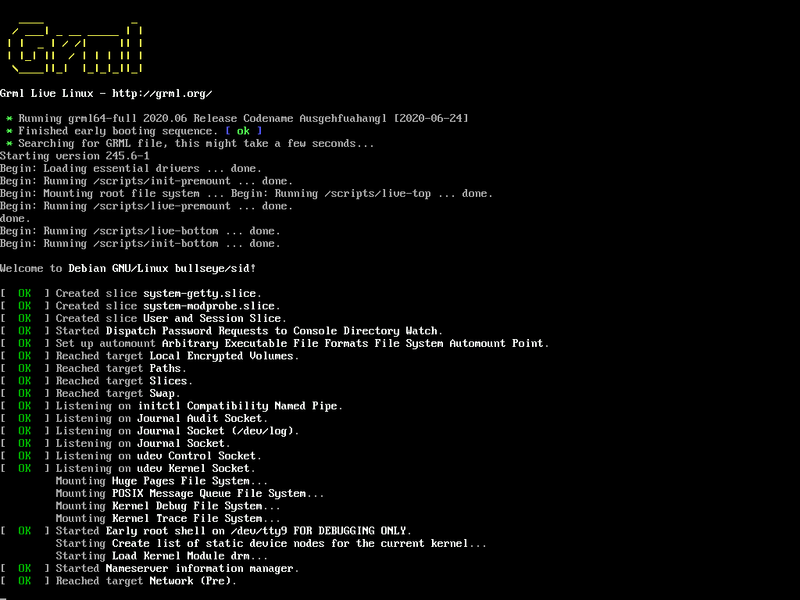 This screenshot shows w3m with image support on a framebuffer device. 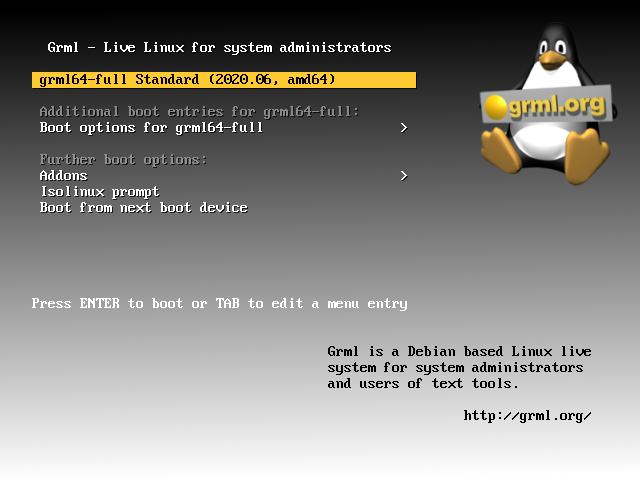 That's what you'll see when running 'grml-info' on the console. 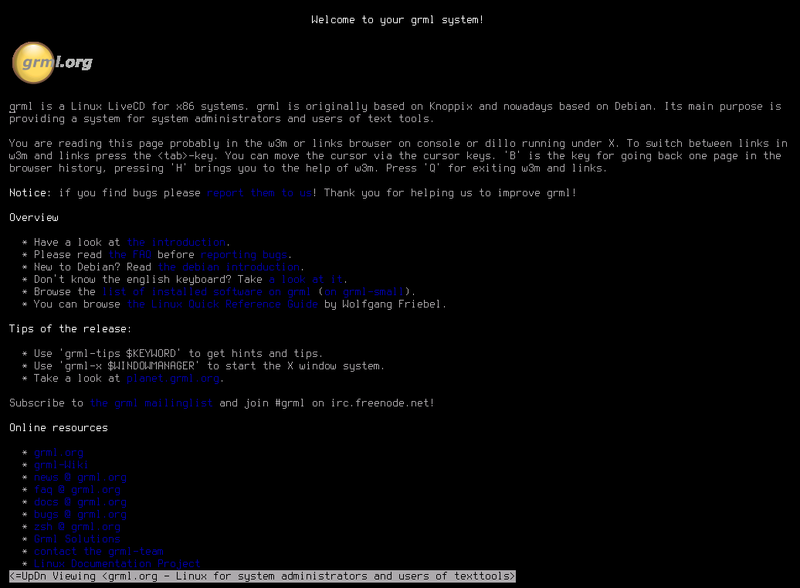 This screenshot shows GNU screen running on console using framebuffer device with zsh and the completion mechanism of zsh running cdrecord. 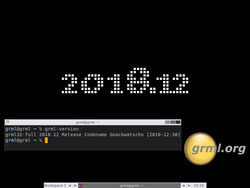 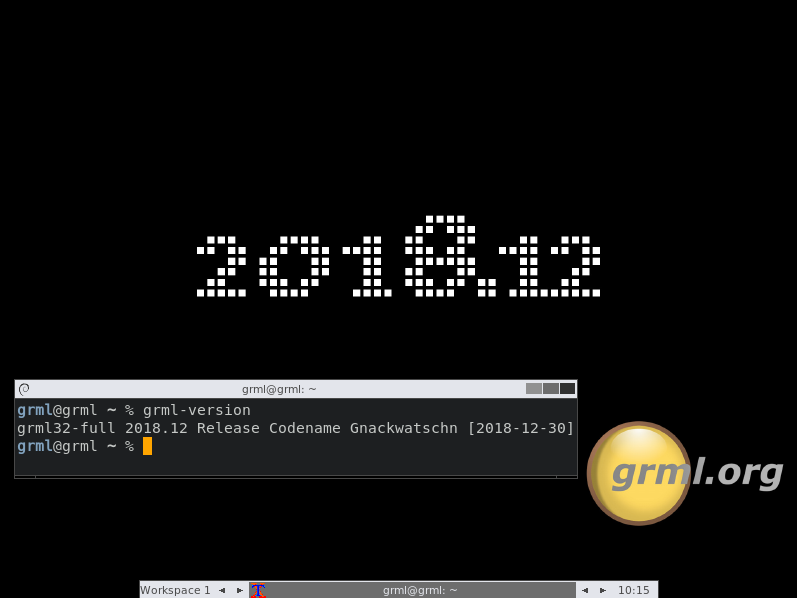 This screenshot shows Grml 2018.12 running the X Window system with the fluxbox window manager.